The intense anticipation for every scene, impactful cast, and brilliant special effects and scoring makes "Poltergeist" a must see film in 3D. 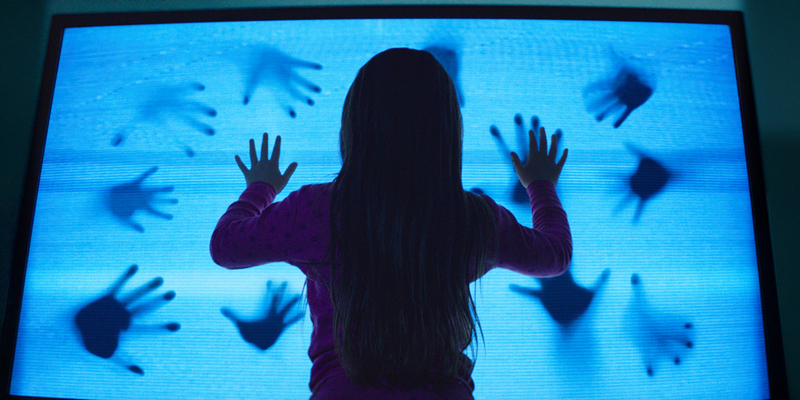 Poltergeist is an impressive remake of a classic horror film. What we love about the film is that the story slowly unfolds in several layers of unexpected scenarios (like finding a bone in the backyard, appliances and furniture pieces suddenly moving). There is a complete set of scary premise within the story: clown toys, weeping tree, cracking floors, strange sounds, creepy crawlers, strange sounds and lights, shadows. The visualization of the parallel realm (limbo) is horrifyingly great. We are literally screaming and trying to close our eyes on some scenes. We even felt that the horror that we felt while watching the film surpasses the ratings given by MTRCB. One of the scenes that I could never forget was the scene with the power tools (absolutely wicked). Poltergeist in 3D is a great horror movie experience complete with all the elements of a good terrifying film. A must see for movie-goers that enjoys the genre. But I think kids should be accompanied with an adult in order to watch a film like this due to the nature of the scenes. “Poltergeist” updates an iconic and ground-breaking brand, creating a classic haunted house tale that plays to our innermost fears. It presents a family like ours, in a house like ours – but one that finds itself caught in an otherworldly trap. Starring Sam Rockwell, Rosemarie DeWitt and Jared Harris, “Poltergeist” is the story of an ordinary family dealing with extraordinary circumstances. Set in America’s nondescript suburbs, a young family-of-five move into a new home only to find it possessed by angry poltergeists. When these angry spirits abduct their youngest daughter, Madison, they recruit a team of scientists and psychics – including a clairvoyant reality star to get her back. Spirit hunting starts when “Poltergeist” opens June 24 in cinemas nationwide from 20th Century Fox to be distributed by Warner Bros.